When it comes to the replica Panerai collecting, no words could carry the power to activate the salivary glands, such as “pre-Vendome.” The simple sounding phrase refers to a specific time in Panerai history when the brand, previously only available under military contract, was first sold to the public in strictly limited numbers. It was then gained by the Vendome Group, now famous as Richemont. The pre-Vendome pieces were initially made for the Italian Royal Navy’s elite underwater commandos. The extreme rarity of the pre-Vendome pieces and their ancestry as true military instruments make them holy grails for Paneristi. Reproducing one now is a clever move for the fake Panerai as originals go for hundreds of thousands of dollars if you can even find one. 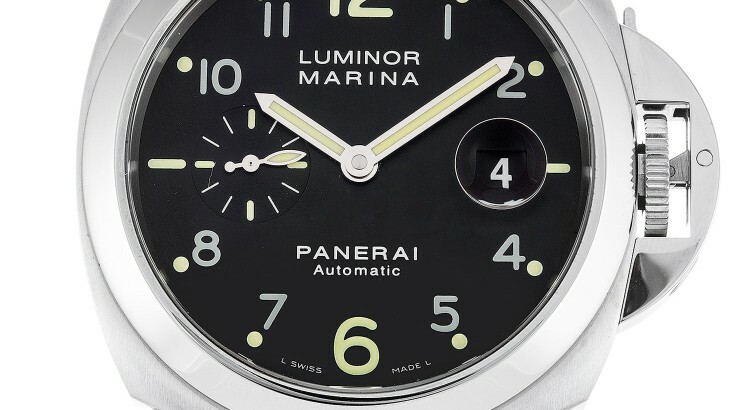 The model in question is neither a Radiomir nor Luminor, the two pillars of Panerai’s product range designed for use underwater. It is instead the brand’s first chronograph, a Mare Nostrum, originally designed specifically for naval officers to keep track of nautical miles and other important data on the deck of a ship. Despite its origin, the watch never made it past the prototype stage. Although the mechanics of the watch have been somewhat updated, its hand-wound, an OP XXXIII calibre, is described as a “pre-Vendome movement.” The new Mare Nostrum Acciaio – 42 MM is a reproduction of the pre-Vendome version created in 1993 based on the original prototype in the Panerai museum. The Panerai established and personalized an ETA 2801-2 base with a Dubois-Depraz chronograph module for the piece. Perhaps they are emulating something similar to the homage on the Sea-Dweller released at Baselworld 2017. Limited to just 1,000 units, the presentation box includes a model of the Luigi Durand De La Penne, the Italian Navy destroyer released in 1993. It was named after Admiral Durand De La Penne, a well-known commando and war hero who wore Panerai instruments on his raids during World War II. 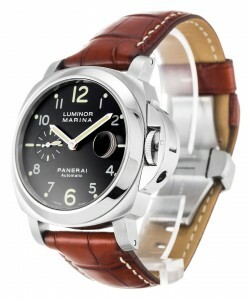 Learn more about this timepiece from Panerai. The dial of the new Mare Nostrum is a stunning, deep blue set off by a blue alligator strap with matching stitching and a sewn-on steel buckle. With a diameter of 13 1⁄4 lignes, the hand-wound calibre is C.O.S.C. certified and has a power reserve of 42 hours. The chronograph minute counter is at 9 o’clock while the small seconds dial is at 3 o’clock and the chronograph seconds hand is centrally mounted. The engraving on the dial and the markers is coated with beige Super-LumiNova.